Last week it was announced that Harriet Tubman would replace Andrew Jackson on the twenty-dollar bill. The announcement was met with mixed reactions, though most seem to be positive. Placing a woman of color on American currency, an honor which thus far has been reserved for the Founding Fathers, is undoubtedly an event, one with deep symbolic significance if nothing else. Tubman was born into slavery in Maryland. In 1849, her owner died and his widow began making arrangements to sell their slaves. It was at this juncture that Tubman decided to flee. 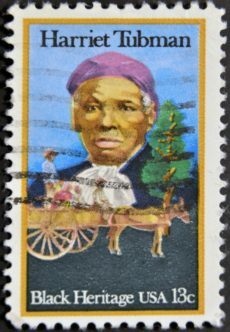 Tubman succeeded in her escape and became an integral part of the “Underground Railroad,” a network dedicated to helping slaves escape to the free north or Canada. According to documentation, she made 13 trips to Maryland and helped to free some 70 people. She became a well-known abolitionist and worked for the Union Army during the Civil War. She worked as a nurse caring for soldiers and liberated slaves and participated in an assault on several southern plantations. Following the war’s conclusion, she returned to her home in New York and took up the cause of women’s suffrage. Her list of accomplishments is impressive. Anyone who looks at the life and legacy of Harriet Tubman would be foolish to miss her incredible and numerous contributions to freedom and American history. I had reasoned this out in my mind; there was one of two things I had a right to, liberty, or death; if I could not have one, I would have the other; for no man should take me alive; I should fight for my liberty as long as my strength lasted, and when the time came for me to go, the Lord would let them take me. Today, we praise Tubman for her courage. This praise is rightly deserved. Getting caught for Tubman meant severe punishment at a minimum and the real possibility of death. After all, she was breaking the law. She was property. Those she helped escape were property. But she assumed the risk and boldly sought freedom. This is what we are celebrating by putting her on our currency. Recognizing an unjust (though legal) institution, Tubman stood up for her rights and the rights of others. She sought a better life. She was a true American. It strikes me as particularly strange, then, that we currently condemn others for doing something similar. While we typically don’t think about people fleeing slavery (though it should be an estimated 30 million people live in some form of slavery today), we see hundreds of thousands trying to escape a variety of villains. People today flee poverty, tyranny, war, and other forms of violence. They sacrifice their homes, their security, and possibly their lives on the hope of obtaining something better—of safety and freedom. According to the Amnesty International, over 2.5 million people have fled Syria to their immediate neighbors (Turkey, Lebanon, Jordan, Egypt, and Iraq). Others have gone further, to the E.U. or the United States. More than half of the entire Syrian population is displaced. An estimated 11.3 million illegal immigrants were in the United States in 2014. While some were fleeing violence (individuals from Honduras, for example), others have come to U.S. to escape from poverty. In each of these cases, with refugees and immigration, the response to these individuals by some has been nothing short of shameful. A recent poll, for example, found a majority of Americans didn’t think any Syrian refugees should be allowed in the U.S. The same thing is said for illegal immigrants. People suggest constantly “building a wall” and deporting people. This is usually followed by something like, “If they want to come here, that’s fine. But they should do it legally.” I’ve written elsewhere why this is perhaps the worst argument against illegal immigration. The fact that something is illegal doesn’t make it wrong, nor does the fact that something is legal make it moral. No one would say that Harriet Tubman was wrong for escaping from slavery and helping others do the same. Indeed, slavery was perfectly legal in the south. She was breaking the law by technically stealing someone else’ property. Of course, we’d say the law she broke was one that ran completely afoul of freedom and what most would consider basic human rights. In the same way, those who cross the borders today in search of a better life are breaking laws that limit freedom. I have a difficult time finding a justification for this, just as I would have a problem with laws treating individuals as inferior based on the color of their skin. So as we reflect upon the woman who will soon grace our currency, I hope that we’ll take a moment to reflect on what it is we are celebrating in Tubman’s legacy. If we truly want to celebrate freedom and fighting for what is right, we would do well to consider some of our current policies.